Fall is that time of year where routines have started to kick in, leaves are falling, and the impending cold starts to knock on our doors. For some young adults it is easy to feel as though one is trudging through the motions of school, early career life, or work and it can feel as though there aren’t many others who are going through the same challenges. Young adults may feel that there are not enough hours in the day to get through the many tasks on our to-do lists, and at the same time we are learning the realities of an independent life. Sometimes being a young adult can feel isolating, yet growing more independent as an adult does not mean we need to experience life independently from others. This season of life is a great time to build community and fellowship with other young adults who are walking through similar stages of life. 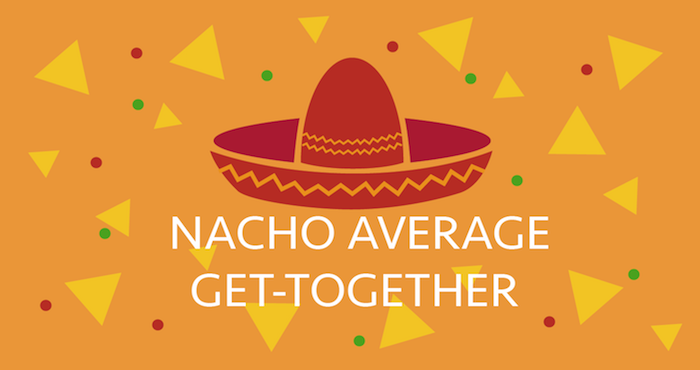 Westheights is kicking off the school year with “Nacho Average Young Adults Kickoff,” an above average gathering on Sunday, October 29th right after service, in the portable office building. Food will be provided. Come one, come all, young adults 18+; you may even want to bring along friends who would like to know more about what young adults at Westheights looks like. We aim to meet on Sundays once a month to share in community, have fun, and spend time digging into God’s heart for us. At the kickoff, Kyle and Natalia Main (the young adult small group leaders) will be sharing about the schedule and plans for the small group that is to be starting soon. What better way to start it off than by gathering together and sharing a meal to get to know each other!